Marketing Results delivered tangible business improvements, including 47% higher revenue from digital, year-on-year. Surf Life Saving Lotteries is one of key fundraising pillars of the Surf Life Saving Foundation in Australia. The client identified that digital was becoming more and more important as a marketing channel, as opposed to traditional promotional methods such as shopping mall stands and leaflet drops. They were looking for an integrated digital strategy that would produce results in excess of the natural migration to online channels. Develop and execute an integrated digital strategy that achieves the organisation’s fundraising goals and makes the best use of available marketing resources. 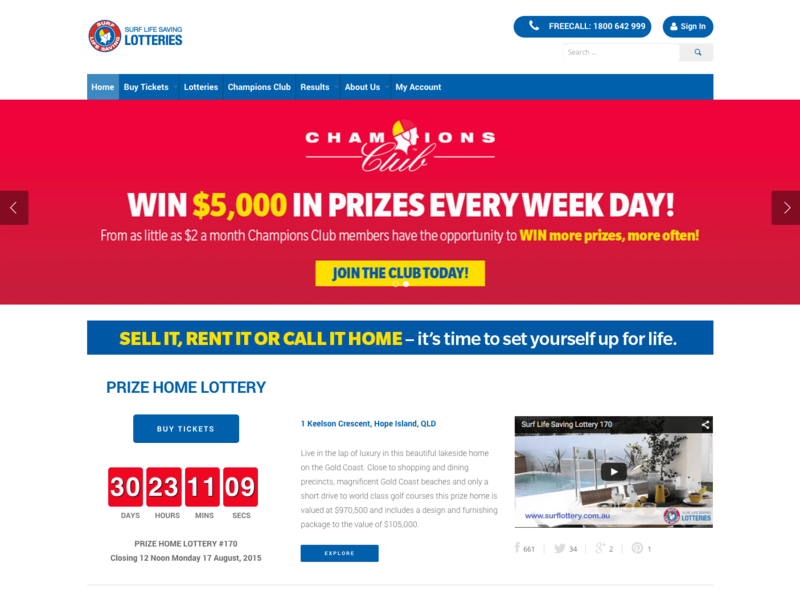 Grow subscribers to the Champion’s Club – a subscription program for regular supporters of the Surf Life Saving Lottery. Devising a web marketing strategy addressing the areas of traffic generation, conversion optimisation and customer lifetime value optimisation. Building a metrics dashboard and reporting system for comparing lotteries over time. Introducing new traffic sources, including Google AdWords and Facebook Advertising campaigns to augment existing traffic. Launching a social media campaign to showcase prize homes, engage the community and reach new audiences. Developing high-converting landing pages on a flexible platform that require internal IT resources. Conducting Conversion Rate Optimisation and A/B split testing on key conversion pages and the shopping cart in order to lift conversion rates and average customer value. 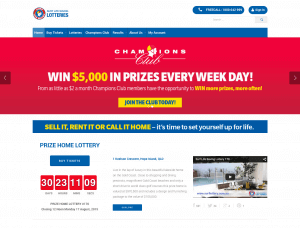 Increase Champion’s Club subscribers via in-cart upsells and remarketing to previous one-time purchases with targeted offers. drive leads, conversions and revenue. They have been able to provide detailed insights into our supporters, which have delivered tangible business improvements, including 47% higher revenue from digital, year-on-year. And they’ve been able to achieve results under strict deadlines, with progressively more challenging targets and KPIs. We look forward to rolling out new campaigns and testing approaches across multiple online mediums in the months and years ahead. This Marketing Case Study has been approved by the Surf Life Saving Foundation.